This week at A&P Preservation we're taking another look at a 2000's store. 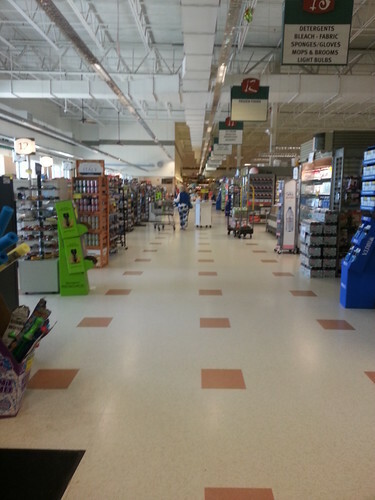 This Waldbaum's in Riverhead, New York, is in pristine condition. It opened with this decor. This store has an identical twin in Oak Ridge, also (Which was an A&P Fresh). Awesome exterior shot thanks to alexweb8. Go check him out on Flickr... it's worth it! Lots of random retail memorabilia and store tours. I especially like him because of his comedic retail YouTube channel (which is currently in the process of being organized). 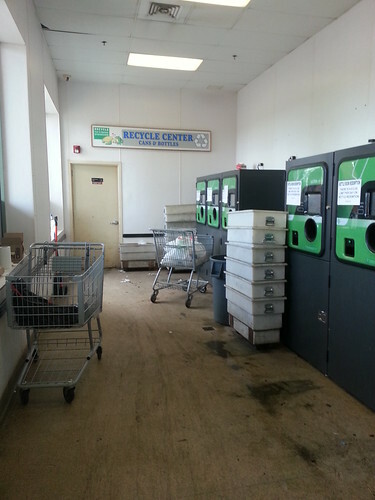 Recycling Center was an afterthought at almost all Bottle Deposit stores for A&P. Most were not maintained, like this one. Standard Frog-and-Turtle in the Recycling Center... I have to ask fellow New Yorkers, what's the point of that? Every time I've been in Long Island it seems that every store has that. 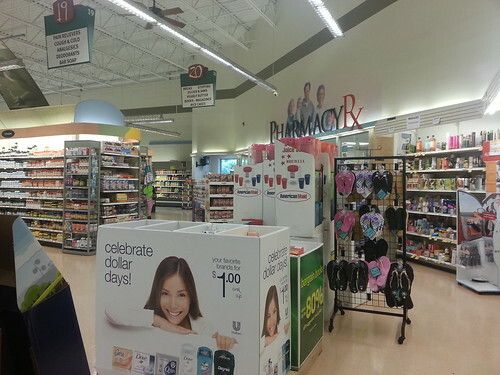 Pharmacy is celebrating Dollar Days with some wood-slat aisle toppers. Store tops out at 20 aisles. Why do these aisle markers remind me so much of Giant's? Oh, the orange tiles... no one ever loved them. And no one wants to take them out, either, when a new company takes these stores over. So far none have taken them out that have been transitioned! Is it that bad? The world may never know. This store has opened as a ShopRite as of last week! Great blog post! 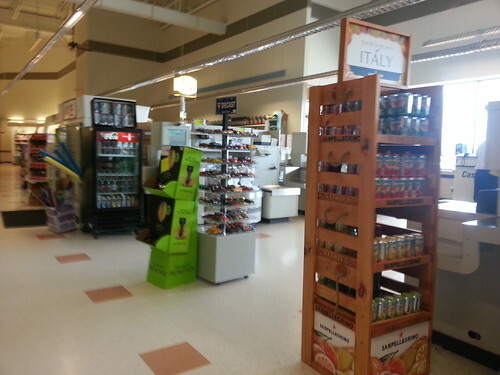 I hope to see more LI Waldbaum’s and Pathmarks in the next couple of weeks! I have an idea: 25 days of Blog-mas where you post a blog post everyday until December 25. Thanks for Reading! Thank you for the kind words! I appreciate all feedback. I would love to post more Long Island stores, but unfortunately the available photos are limited, and I unfortunately live far away from Long Island (I'm in the Greater Philadelphia area.) 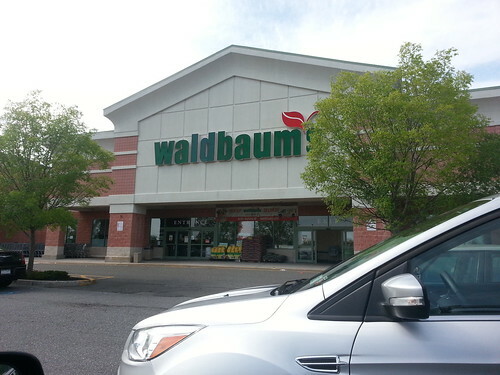 I do have another Waldbaum's post coming up at the beginning of November, so be sure to watch for a post then! 1. In older stores they were often an afterthought (when the bottle deposits were brought back in the 1980's they had to be fitted in wherever room was available, since the stores weren't designed with needing that space in mind). 2. Even in newer locations, since they have to provide it by law, but it's not a (major) money making item for most, they still tend to stick them in out of the way locations and keep costs down by doing as minimal as possible maintenance just to keep them functioning.